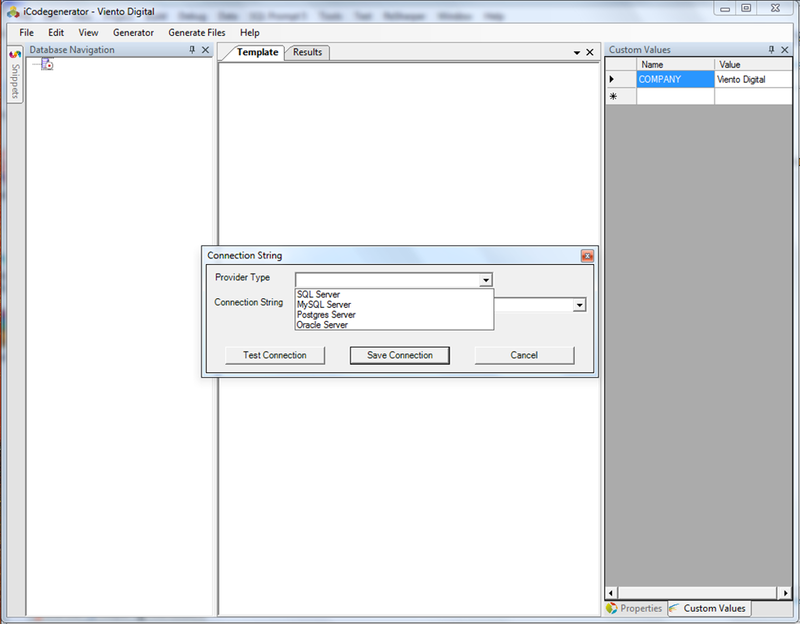 iCodegenerator is a database centric template based code generator for any programming language like C, PHP, C#, Visual Basic, Java, Perl, Python... Supported databases are SQL Server, MySQL and PostgreSQL. Initial view of the iCodegenerator. SQL Server, MySQL, Postgres & Oracle. Snippets of the tags available to use on a template. 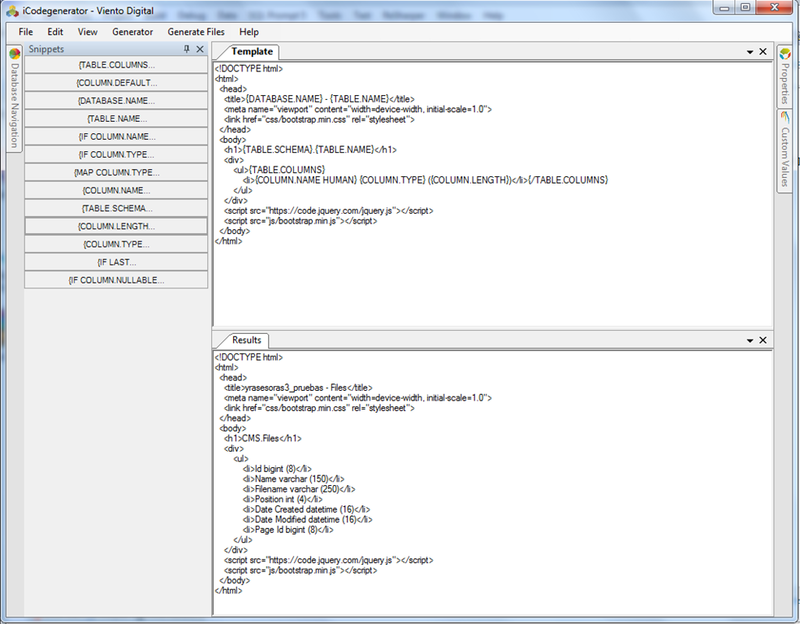 Its a placeholder for the Column tags. 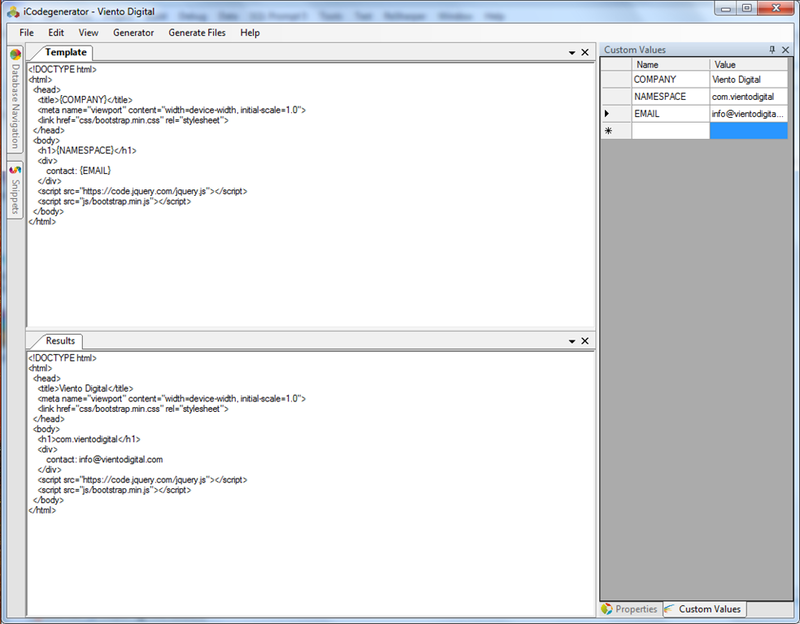 Which can have the attributes of PRIMARY, NOPRIMARY or ALL (default) to filter which columns to process. Returns the column default value. 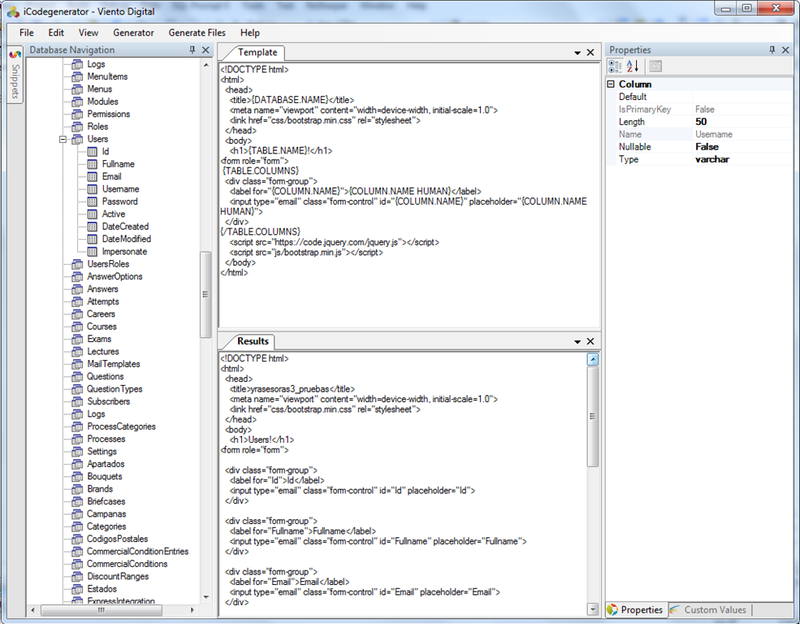 Returns the mapping value to the column type defined in the config file: DataTypeMapping.xml. Condition to test if column is nullable or not. Condition to test if column equals a SQL type. Condition to test if the name of the column contains a string. Condition to test if it is the last column. Custom Values are Key/Value Pairs that you can define to use on a template. For educational purposes, the following were the design patterns used and where you can find its use.